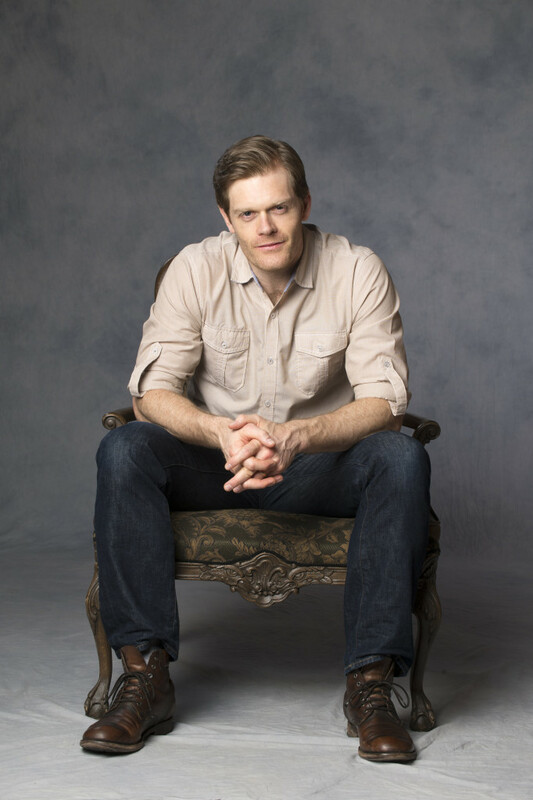 The great Martin Happer battled himself for his spot in this year’s Outstanding Supporting Actor race after delivering two performances at the Shaw Festival in 2015 that were nearly impossible to choose between. Ultimately, his grand, silly, and joyous version of the villainous Black Stache in the imaginative Peter Pan prequel Peter and the Starcatcher beat out a performance in The Divine marked with so much strength, stillness and sadness it’s remarkable the two performances came from the same man. Can you remember your first experience with theatre? When did you know you wanted to become an actor? My earliest memory of theatre is sitting in a hall and watching a rehearsal for my mother’s community theatre group, the Fraser Valley Stage Production Society. I was very young at the time, so I can never remember what was being rehearsed, but it was likely a musical. When I was a boy, a director from the same group asked if I’d like to play the turkey in their production of A Christmas Carol (I guess they had no budget left for props). It would be the first role I ever turned down. My excuse was that I didn’t want to be eaten, but of course, a part of me wanted to do it. I was painfully shy in those days. It was in grade nine when I actually told myself I wanted to be an actor, but I’d already been working my chops for a couple years. My grade seven teacher had a drama portion in class every week, and it was then that I discovered a knack for acting like a buffoon and felt the thrill of holding the attention of a room. We’ve seen you on stage eleven times in the past five years and you’ve never earned a bad review. What’s the secret to your consistency? That’s very kind of you to say. I’m sure it wouldn’t take too much digging to unearth a poor review from somewhere – but hey, let’s not trouble ourselves looking. If I have any consistency, I suppose it would be the result of my love for the process of creating a character; and so in both rehearsal and performance I practice equal parts hard work and play. When it comes time to perform, I put a lot of value on focusing before going on stage, to make sure that I’m locked into the character’s headspace and the world we’re creating. And finally, I always look to improve upon my last performance and find growth in the character. This a tough one to answer but a few roles do stand out for me. Jackie Maxwell entrusted me with the part of Bo Decker in Bus Stop for my second season at Shaw, and because it was my first major role at the Festival – one that was in a production that resonated with audiences and those of us acting in it – Bo has always remained close to my heart. I am very proud to have been a part of Studio 180’s production of The Normal Heart, playing Bruce Niles in the 2012 remount. I had seen the final performance from the audience the year before, so I knew what it felt bearing witness to this crushing story and to see the affect it had on everyone in the room. Paul Essiembre did such a wonderful job as Bruce in the original, so I was honoured to join the incredibly talented and supportive company the second time around. What a trip it was to experience the show on the other side of the lights. Never have I been involved with a show this emotional and immediate. Valentine in Arcadia at the Shaw Festival is another one. I’ve never pretended to be so intelligent in my life. It’s an iconic role in a Stoppard masterpiece, and we had the pleasure of performing it again at the Royal Alex. It was such a gift to get another crack at a part like that so quickly. And finally, I’m not sure I’ve ever had so much fun on stage as when I played Black Stache last year in Peter and the Starcatcher. It was a Christmas gift of a role that just kept giving with each audience. To be able to play with Jonathan Tan and the rest of the stellar cast in this [production] was a rare treat. The whole process from first read to final curtain was so special and we all felt it as a company. I’m nearing the expiry date, if I haven’t passed it already, but I’ve always wanted to play Jack or Algernon in The Importance of Being Earnest. It’s a perfect comedy and is one of my favourite plays. Definitely Stanley Kowalski in A Streetcar Named Desire; and if ever I was to be cast in the Wizard of Oz, though I’d likely be seen as one of the other two farmhands, my childhood dream was to be the Scarecrow. I marvelled at Ray Bolger’s performance in the film – it had an early and profound influence on me. And maybe in years to come: Richard III, Argan in The Imaginary Invalid, George in Virginia Woolf, and, yes please, Johnny “Rooster” Byron in Jez Butterworth’s Jerusalem. 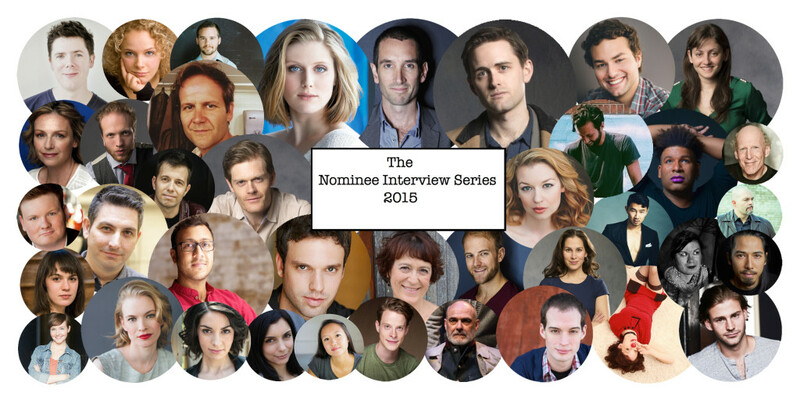 We try not to nominate any actor twice in one category, which meant that your performance in Peter & the Starcatcher narrowly beat out your performance in The Divine for a spot in the Outstanding Supporting Actor race. 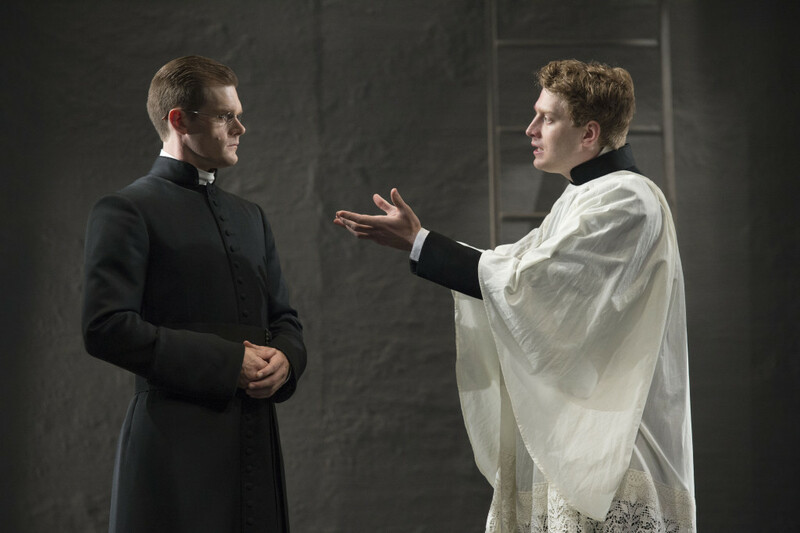 Tell us a bit about your experience playing Brother Casgrain in that world premiere production. I spoke of taking time to focus above, and with Brother Casgrain, more so than any other character I’ve played, it required me to be incredibly diligent with my focus, almost ruthlessly so – to the point where I felt like the creepy quiet guy in the dark corner backstage. There was always so much at stake for him, and so much conflicting internally – he battled himself as much as anybody else. Not only that, but due to the intense and precise nature of the dialogue and design, any momentary loss of focus was a true and disappointing dropping of the ball. Both Peter & the Starcatcher and The Divine had incredible casts. Tell us a bit about working with your co-stars. I can’t speak highly enough of them. Both casts had an immense generosity of spirit that inspired fearless exploration in rehearsals and on stage. When there’s such trust and respect in the room you feel you can try anything and be as open and honest a performer as possible. And both casts had a healthy sense of humour, which for a comedy is necessary, but for a darker play like The Divine is imperative. The role of Black Stache is not only based on one of the most legendary characters ever but it’s a role that won Christian Borle a Tony in 2012. How did you approach making it your own? Well, when the writing is that good, most of the work is done for you. The temperament and voice often leap off the page at you, and I certainly felt that with Stache. I read as many stories with pirates in them as I could, including those of J.M. Barrie’s original Pan, of course. Physically, my major inspiration was drawn from watching videos of Mick Jagger performing live. Tapping into that got me on my toes and into Stache’s broad and unpredictable fluidity. And mentally it helped if Stache thought of himself to be the finest amateur actor on the high seas. On the flip side, what elements of the classic Captain Hook persona did you incorporate into your performance? His charming public school trained persona that keeps a loose lid on the quick and vengeful temper that boils near the surface; also, his dependency and abuse of Smee and his love/hate relationship with Peter. Peter & the Starcatcher was a really physical production. What were some of the most challenging feats you had to pull off? One of the most physically and vocally tough sequences was that which led to the end of the first act. It all happened in the chaos of an enormous storm, so our voices had to be heard over the tempest of sound effects and music. In this particular bit, I started being whipped by the wind atop a ladder when we all began singing the climactic finale; then I leapt from the ladder (into the turbulent sea) and rolled into the stylized movement section, that included balancing Jon Tan on my back. When we first ran that act in the rehearsal hall, my voice could barely keep up with the show’s demand. Tell us about working with director Jackie Maxwell. Jackie is incredibly skilled at knowing how to tell a story and is brilliant at insuring we tell our story as fully and clearly as possible. And last season was a fine example of how she can do this with two very different plays like The Divine and Starcatcher. She has an innate ability to adjust her directorial approach to the needs and energies of each individual actor and to the cast as a whole. For Starcatcher, in particular, she fostered a real collaborative and co-creative process in which she welcomed and encouraged ideas and offers from everyone in the cast. There was no mistake that she was leading the ship, but this gave us all a real sense of ownership of the piece, which come mid-September was a very positive and useful thing. There were so many good ones, but make no mistake it was, of course, the moment leading up to and following (spoiler alert!) the loss of one of Stache’s extremities: a golden gift from the writer wrapped and neatly tied with a bow. Do you try and see every play in the season? What were some of your favourites of 2015? I always see all the shows in the season. However, last season I missed The Next Whisky Bar because of its limited and sold-out run. For me, these three shone in delightfully surprising ways: The Lady from the Sea, The Intelligent Homosexual’s Guide to Capitalism and Socialism with a Key to the Scriptures, and Top Girls. 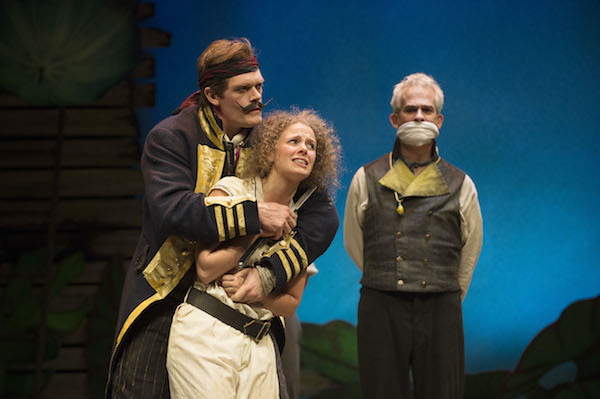 I played Captain Jack Absolute in a production of Sheridan’s The Rivals with Blackbird Theatre in Vancouver. My wife (Elodie Gillett) and I are from Vancouver, so it was heavenly to see the family and old friends, while working on a classic script with a talented and lovely group of artists. I’m about to workshop a bold new adaptation of Major Barbara that will culminate in a staged reading in celebration of the opening of the Marilyn I. Walker School of Fine and Performing Arts in St. Catharines. After this, I will be going into rehearsals at Shaw to play Lord Illingworth in A Woman of No Importance and Angus MacAlister in Engaged. Just a thank you for your support and the nomination for work I thoroughly enjoyed. Cheers!